I don't know why but Darcy is really into Halloween this year. So this means having to find lots of Halloween activities to keep her busy. One thing she has been on my case about it carving a pumpkin. 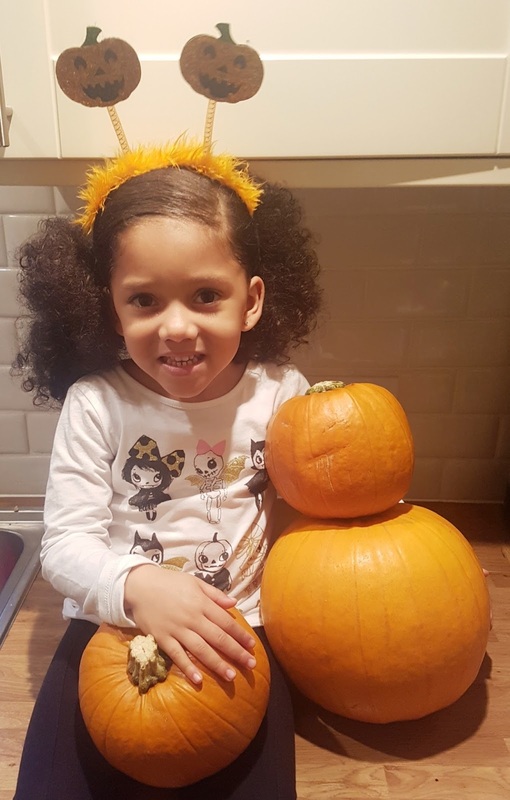 Lucky for her Families online got in touch with us to see if we wanted to take part in their #myfamiliepumpkin campaign. 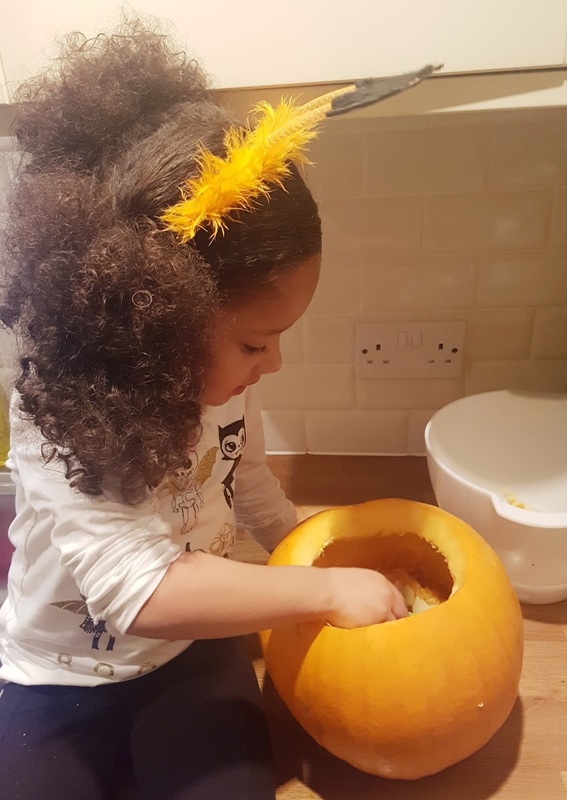 As you can see from the pictures she had lots of fun, I did too actually if I'm honest, apart from failing to cut a My Little Pony design. But hey it's the taking part that counts right?. 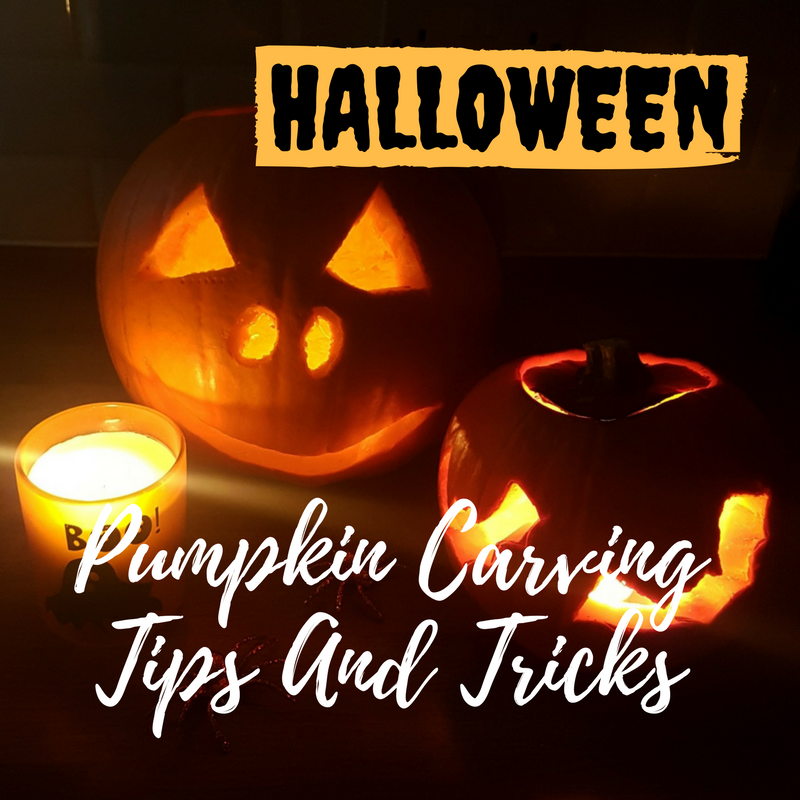 If you are doing pumpkin carving with your little ones this year, here are some tips and tricks to help it all go smoothly. Take the time to plan your design first. If you are not very artistic, there are lots of printable templates online that you can use. Here is a step by step video from Families online, showing you how to use a printable template. Use the right tools. I found this pumpkin carving kit in Poundland for you guessed it ... one pound! 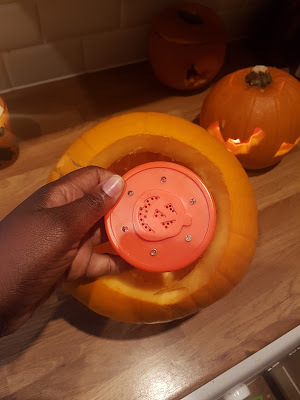 Hold the pumpkin in your lap for stability whilst you are carving. 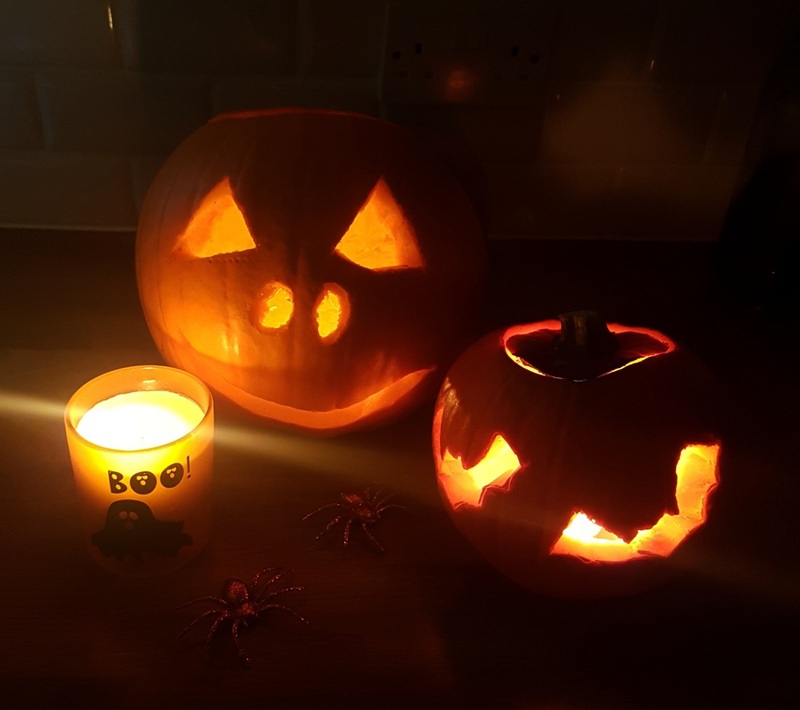 Use battery operated lights, not only are these safer around children but they keep the pumpkin fresher for longer. Well those were my tips and tricks for carving pumpkins. 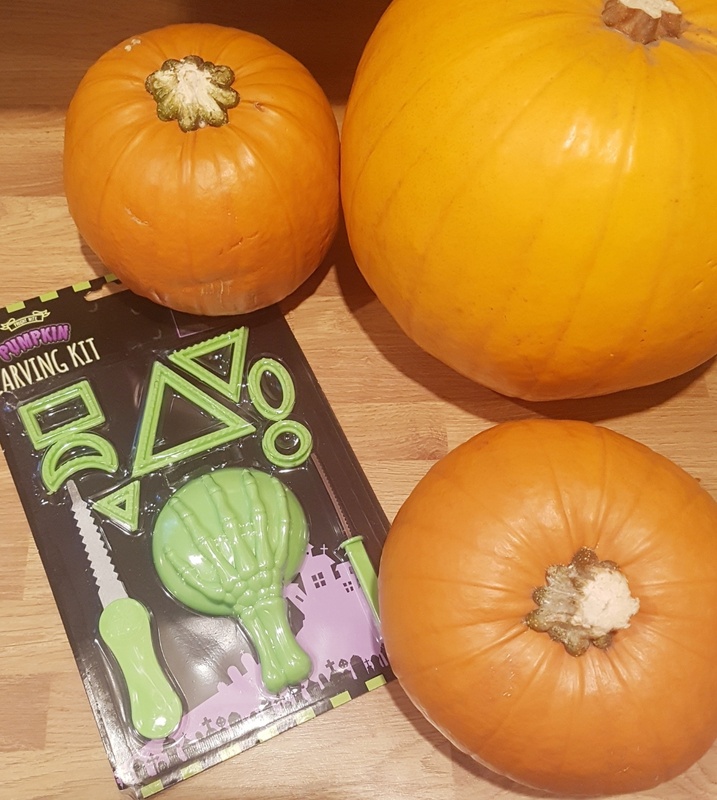 Will you be decorating pumpkins this Halloween?